Parents and educators at Eastview Middle School were convinced that although their students had left primary school behind, they still needed opportunities to be active outdoors and have fun with friends. 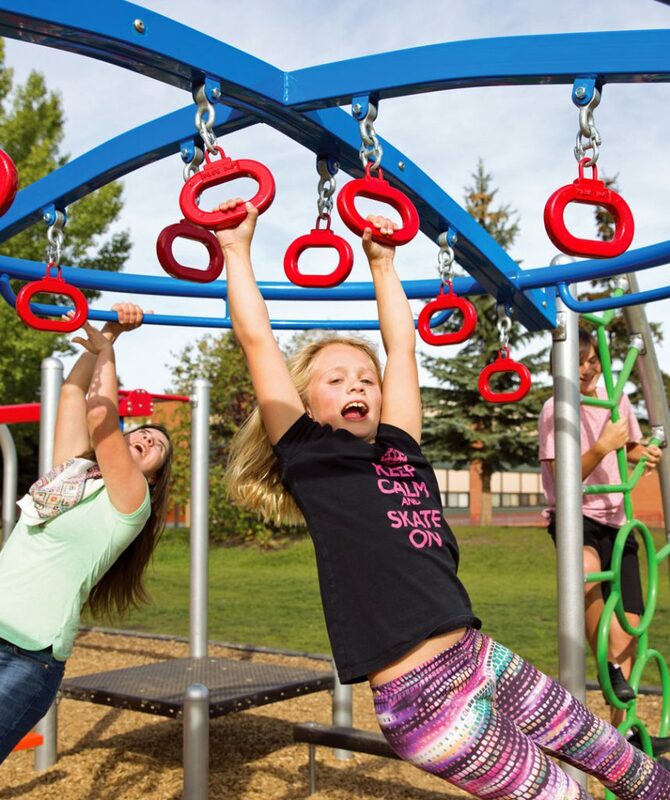 The goal was to provide a variety of recreational activities to keep students physically active during recess breaks as well as providing creative fitness options for phys ed class. The Blue Imp design team selected our futuristic uPlay series for this project. Terming the project an “activity structure” rather than a playground, we selected challenging upper body activities, various motion-based components and a large net-based structure designed to appeal to this age group. Outdoor fitness equipment, basketball goals, and a disc golf course were selected to complete the recreational palette for this middle school. This high-energy "activity structure" was designed with middle school students in mind. A fitness circuit with multiple stations provides outdoor fitness options for phys ed class. A disc golf course is a great way to add activity for multiple users. Basketball is a favourite lunch break activity for this age group. Motion and net-based pieces from our uPlay series provide challenging activities. Challenging upper body activities and a large net structure appeal to this age group.